Consumers today have an abundance of choice when shopping online, in-store, and on their mobile devices. With so many products to choose from, buyers can suffer from decision fatigue when trying to make an informed choice on what they want to buy. 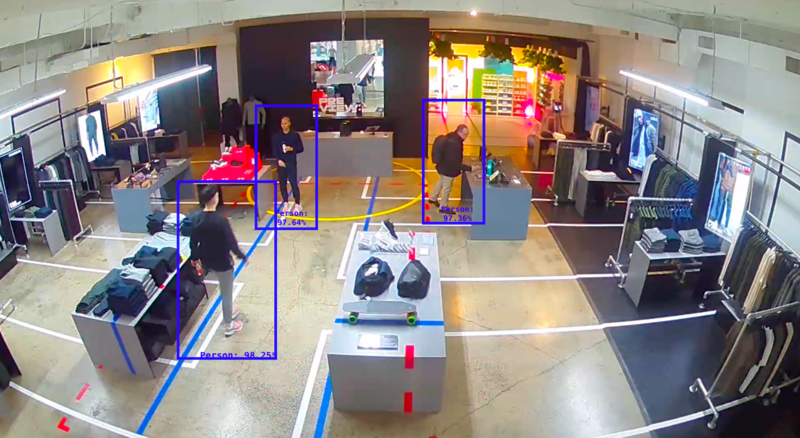 Clarifai makes it easy for retailers to user computer vision AI, alongside AI analytics, to improve the customer buying experience both in-store and online. Clarifai makes integration of computer vision AI painless. Simply install our award-winning technology on the computing chips of your CCTV cameras to instantly help count people and objects, highlight certain people of interest, track people as they move in and out of the frame, identify objects, and send alert notifications of defined actions in real-time. Get in touch and let's talk about how Clarifai's computer vision AI can help solve your retail challenges.